Boys Tuxedo Dress Shirts size 1 to 16. 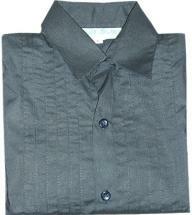 Boys Tuxedo Shirts size 1 to 16. Ivory Tuxedo Shirts in stock NOW!!! Sizes run a little small. Be sure to check out the size chart before placing your order. If you didn't find what you were looking for, check out our many available tuxedo varieties.